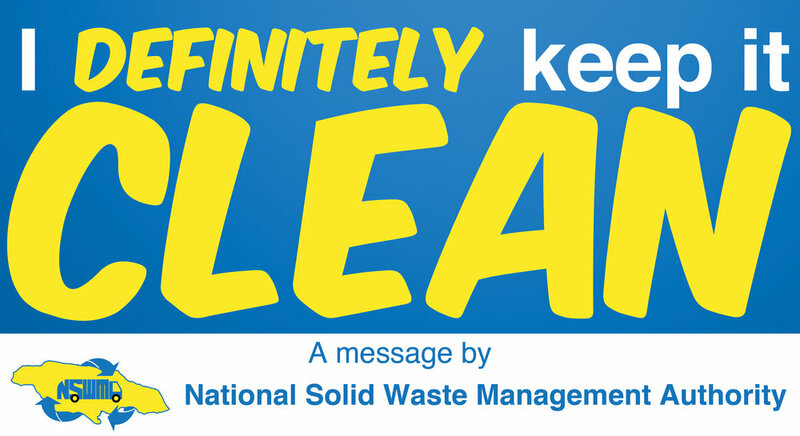 The National Solid Waste Management Authority (NSWMA) is the Jamaican regulatory body mandated with the collection, disposal and ultimate safeguarding of public health. I entered the NSWMA offices, encountering an organization that desired to sustain a strong relationship with the populous. Assessing the inherited collateral, the materials all lacked unison as well as relevant information. My objective was to formulate materials around education and the dissemination of such. How does one incite behavioral change? The first step was displaying the environs as they stood. The intent of the pieces that I developed for NSWMA was always direct messaging. I wanted citizens to have appropriate reactive responses to any cases that they may have encountered. I remember watching the film “Helvetica” in which designer, Michael Bierut praised the title captioned typeface for its ability to convey a message with no hassle. He held up a print ad which had its headline in Helvetica and said “any questions? Of course not”; lauding the typeface for its lack of ambiguity. That was the effectiveness I needed so I employed it in the collateral in various weights. It was important for citizens to know everything that concerned them as it related proper disposal. That is, what was required of them, what services were provided to them etc. It was also imperative for the document to be accessible to the everyday man. Speaking directly to them so I made it crystal - RESIDENTS, this is for you. After a period of exploring initiatives to unburden Jamaica’s landfills, NSWMA decided that composting was a great way to reduce waste in the future. Therefore, the Parks and Gardens division was created. An entity that would be responsible for the production and distribution of the compost; I designed easily digestible educational brochures and packaging for the product. The division amassed so much compost that they started using it for beautification projects in the island’s public spaces which I had the pleasure of drawing plans for. Customer Service and community outreach was just one facet of the job. Another was assisting the Operations Department in drawing structural plans for waste management initiatives. Having competency in technical drawing, I was able to draw front/top/side elevation plans for systems that they wished to implement. After meeting with the Planning Department we came up with crude sketches with estimated measurements which I then refined into proper 2D & 3D drawings.